Last week I discussed how where possible we want to keep your desired activities in your routine. This might be running, squatting, cycling this part doesn’t really matter rather it is the concept of making your rehab as relevant as possible. Last October I was looking for a way to incorporate more movement/exercise into my week. I would generally run twice a week and lift twice so I was looking for an easy movement session and decided on GMB’s Elements program. This is a basic movement program that I felt I could do on the days I was looking after my wee boy when he went for a nap. I got the course and set about practising 2-3 times a week and so far so good. Then on one of the days I got a bit greedy and did more of that days movement, the monkey, than I should have. I was a bit sore when I finished but not enough to be bothered about. The following morning I was a lot stiffer and had a deep ache across my sacral area but after a bit I was moving ok. I ran later that day to no ill effect and was squatting the following day, again not problem but for the ache which didn’t get any worse during or after either of the sessions. This was the same for the next couple of weeks…then I squatted down to pick something up of the floor. On squatting down I got a sharp pain across to my left hip. I then found that when I went to sit down I could hardly sit my right side down. I could generally move in a pain free manner but sitting was painful until I found a comfortable position. I found that walking wasn’t great as the day went on, not great as we were off to the zoo for the day! 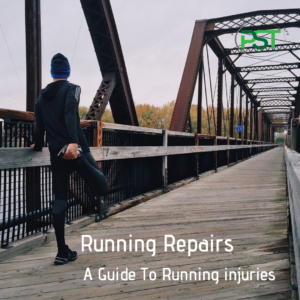 Running was completely out as was lower body work at the gym, standing whilst pressing overhead and even chins caused some pain. After getting it assessed there seemed to be issues with my pelvic floor and deep hip rotators. My rehab focussed on these areas initially and one of the movements I was doing from the start was squatting. That said I wasn’t using any weight but adapting the movement to help address the problem area. 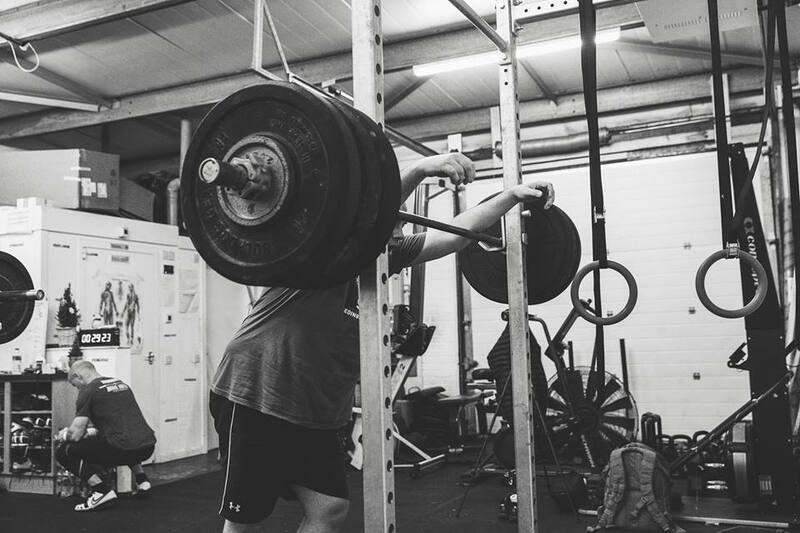 After sticking to this for a couple of weeks I re-introduced back squats into my routine, again adjusting the movement by focussing on inhaling all through the decent. This had the effect of helping mobilise the pelvic floor with a movement I wanted to back to asap. I was able to use weights up to 50% with absolutely no pain and gradually able to increase this weight over the next 6 weeks. Each week I increased the weight a little or at least tried to. 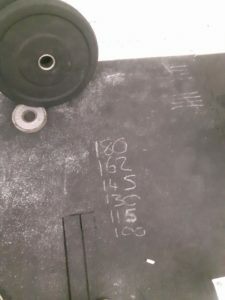 There were sessions where I was able to use more and others where as soon as I started to squat I had to rack the bar as I knew I had done enough and the new weight was too heavy. After about 6 weeks of this I noticed I could get into the car with no pain. This had been an exceptional painful thing to do no matter how I attempted it. From this point I started to move the weight up and I was able to gradually move back towards the weights I was using when I got injured by around christmas. Working up to a 2 or 3 rep max for the day and from this working out the weights to use for the rest of the challenge. It was horrible and fun all at the same time. Not something I want to do with any regularity but a great challenge. So I went from barely being able to sit down in October to a marathon squatting session in December with no adverse effect, not even much in the way of DOMS to be honest. If I had waited until I felt I could squat above my first or second warm ups I would not have been able to do this as I wouldn’t have known when that would be without trying it. This then would have introduced a fear component into the mix as I really wouldn’t have been at all confident of squatting at all. Making use of the squat to aid my recovery allowed me to maintain the motor pathways for squatting, work on my technique so that there was no re-learning needed after what might have been a 2 month break. Using the squat as part of the rehab also allowed me to measure how well the rehab work itself was going in terms of my movement quality. 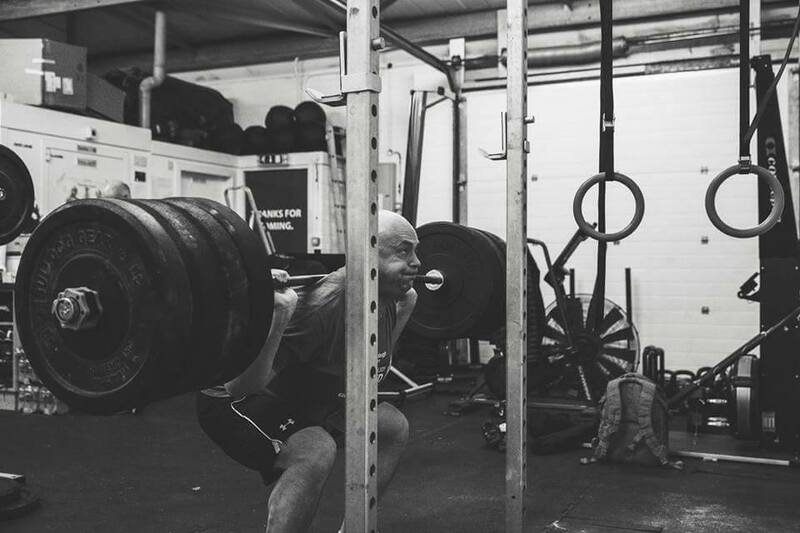 One of the nice benefits of the rehab process is that my squat felt better than it did pre injury which let me know that there had been a bit of a problem there for a while that had gone unnoticed. 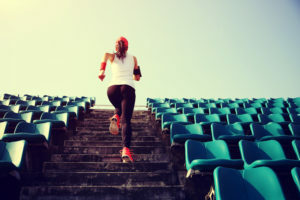 For the running I stuck with 2 minutes of running and 30 sec of walking and gradually from around the same time as I started increasing the weight in the squats and built the time up from 15 minutes to 30 minutes over the following weeks. I also ran the following day after the squats so I knew there was no issue as a result of the crazy session itself. Previous PostPrevious Capacity and performance: how much can you do before it hurts?